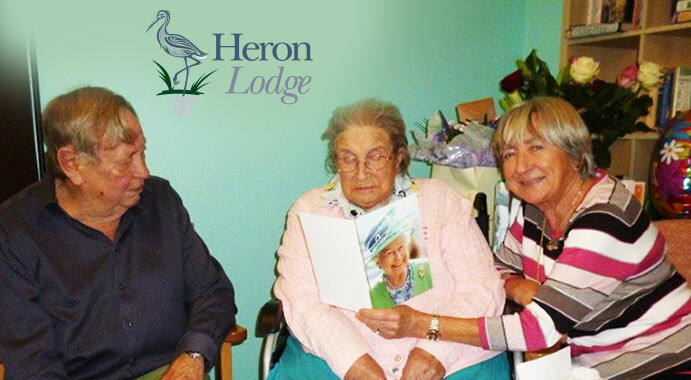 Elsie Ayton celebrated her 106th birthday on Friday at Heron Lodge care home in Wroxham. 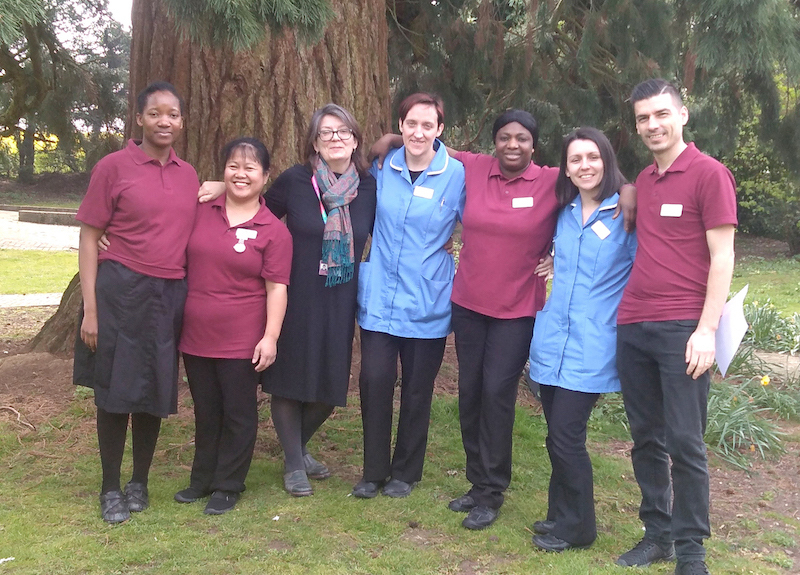 A resident at the Kingsley Healthcare home in Norwich Road for 16 years, she enjoyed a party with fellow residents and her daughter and son in law. Her daughter Jane Aldred, 78, of Church Lane, Wroxham, said: "My mum has always had a healthy lifestyle. She used to cycle everywhere when she lived in Cromer and has always been a good cook with a healthy appetite." 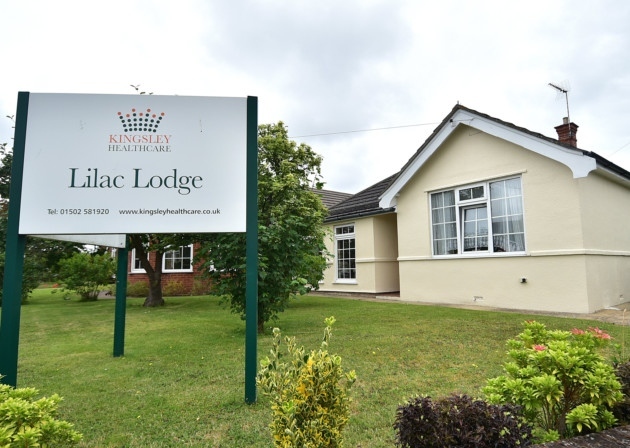 DSDC are delighted to be supporting Kingsley Healthcare, a care home group based in England, who have embarked on wide-scale investment in their dementia care provision. 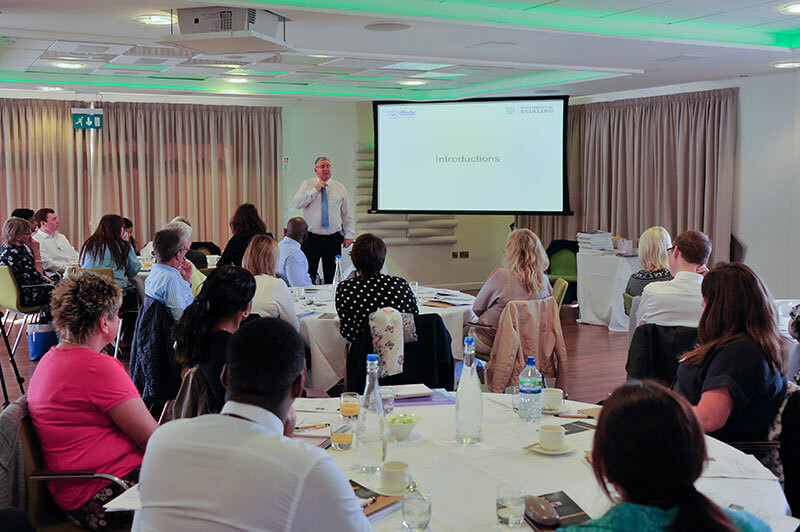 Kingsley have commissioned DSDC to provide staff from their 24 care homes with specialist dementia training beginning with senior managers who will be supporting their front-line staff through DSDC’s accredited Best Practice in Dementia Care Learning programme and Dementia Design School. Families are being invited to bring their children along to Lilac Lodge and Lavender Cottage in Gorleston Road, Oulton Broad next week for a close encounter with wildlife not usually found in Lowestoft. 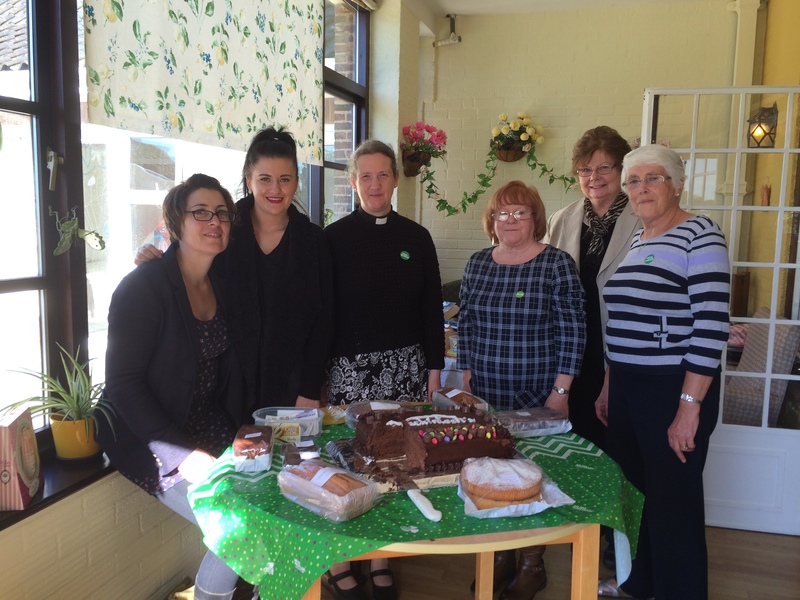 The manager of Brooke House care home found a sweet way to raise money for Macmillan Cancer Support – and celebrate the interesting history of the country property. Dementia can affect anyone at any time and it has taken years to gain a good understanding of the disability. 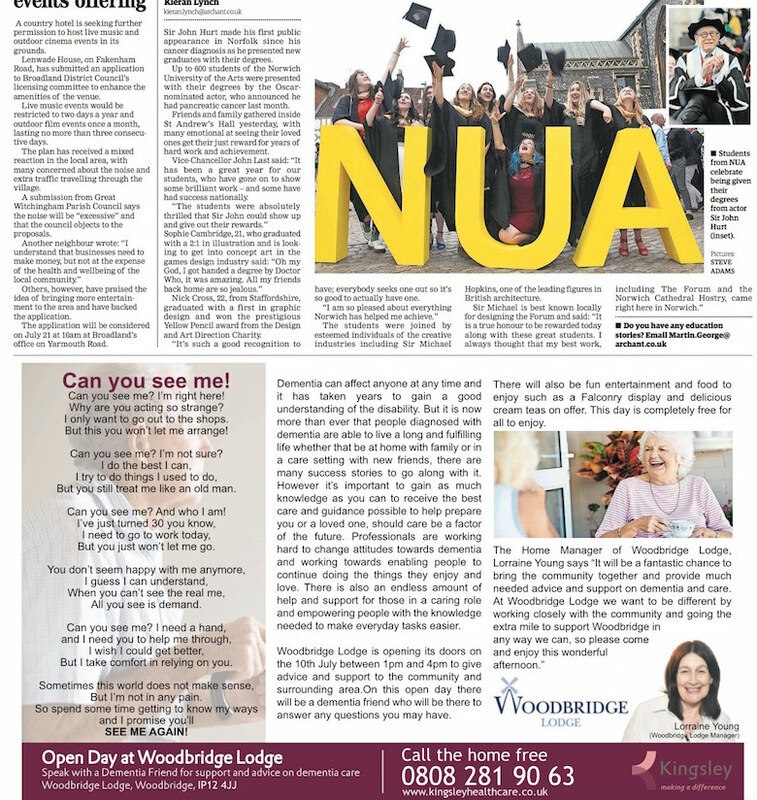 But it is now more than ever that people diagnosed with dementia are able to live a long and fulfilling life whether that be at home with family or in a care setting with new friends, there are many success stories to go along with it. However it’s important to gain as much knowledge as you can to receive the best care and guidance possible to help prepare you or a loved one, should care be a factor of the future. Professionals are working hard to change attitudes towards dementia and working towards enabling people to continue doing the things they enjoy and love.